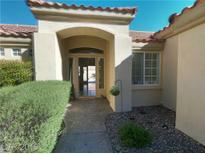 Below you can view all the homes for sale in the Gallery At The Grand Legacy subdivision located in Henderson Nevada. Listings in Gallery At The Grand Legacy are updated daily from data we receive from the Las Vegas multiple listing service. To learn more about any of these homes or to receive custom notifications when a new property is listed for sale in Gallery At The Grand Legacy, give us a call at 702-323-5903. This rare jewel has so many custom features from the upgrade plank cabinet doors, granite everywhere, custom builtin closets, stone and wood floors, shutters, covered patio overlooking beautiful Pebbletec pool/spa with in-floor cleaning, beach entrance, garage for your golf cart or 3rd car, oversized corner lot, large palms Easy maintenance MLS#2088577. LIFE Realty District. Make this amazing home yours today! MLS#2087694. Signature Real Estate Group. Check out the serene Koi pond. MLS#1958638. Schwartz Realty.